Sandwiched between the beautiful sand beaches of Brazil and the poetic mountain landscapes of Argentina, Uruguay often finds itself as an afterthought in the South American travel discussion. But this great city has much more to offer than meets the immediately glancing eye, and deserves the travel world’s attention. It is both powerful and meek, it is humble yet proud, and it may be the most obviously hidden gem in all of South America. People often describe the city of Montevideo, Uruguay as a small version of Buenos Aires, but it really is so much more than just that. It has a charm to it and a pace of life that will make you wonder if people have anything to do or anywhere to be. Rather than the bustling sense that is attached to nearly all other Latin American capital city, Montevideo seems to pass the day in relative peace and tranquillity. Montevideo wakes up a little bit later than usual, takes slightly longer siestas and, in general, seems to pass the day away a little bit slower. It almost feels as if there are more hours in the day than usual, and that’s not a bad thing. Far stretched out from the rush of the average big city, the people here take their time doing just about everything. Entering the city buses a quick chat occurs between the driver and the ticket buyer, at the money exchange the changer is quick to ask changees about where they’ve been and where they are going, and in the city’s old plaza people young and old take seats on bench or open areas of the grass and simply enjoy the moment. It is really something incredible to see, people doing nothing. Head to a park in North America and people will have a paper open on the park bench, or a blackberry on the train or even amidst a conversation. The truth is though, these people are not doing nothing, they are gaining perspective, relaxing, meditating, and simply enjoying their surroundings all at once, and likely with no idea they are doing it. 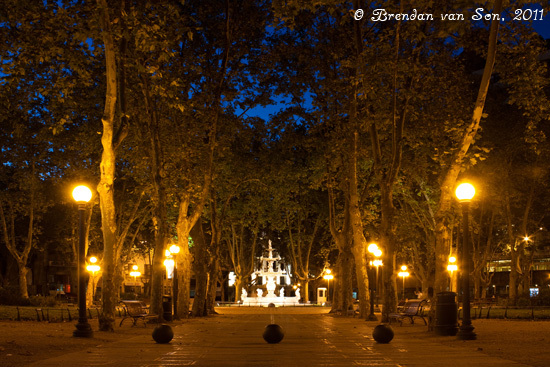 Montevideo’s old city plaza ranks as one of the most interesting in South America. It is different from all the others in so many ways. It is not featured by a large open area, it is not exclusively made up of old colonial buildings and a massive church is not the main landmark. Instead, the tall tower of Palacio Salvo stretches out of the ground on one end – Latin America’s former tallest building – and on the other a brightly lit museum. Standing in the center of the park stands a large statue seeming to claim victory while straddling his steed. Stowed beneath the great statue lies the underground museum Mausoleo Artigas. There are a dozen other worthy museums in this cultural town as well, including the Museo Romantico and Torres Garcia making this city one of the best for Museum aficionados. The food in Montevideo does not slouch either, and most Uruguayans pride themselves on the fact that their steaks may actually be better than those of their famous Argentinean counterparts and the street corner burgers are, well forgetting the amount of grease dripping from them, simply delicious. But if relaxation is more of your thing, you can stroll, bike, or hop a bus down to the nearby beach. Uruguay rarely makes headlines, it is thought to perhaps lack the cultural punch of the rest of the region, but it seems that there is a little bit of a middle child syndrome at play instead as it sits between the regional giants of Brazil and Argentina. 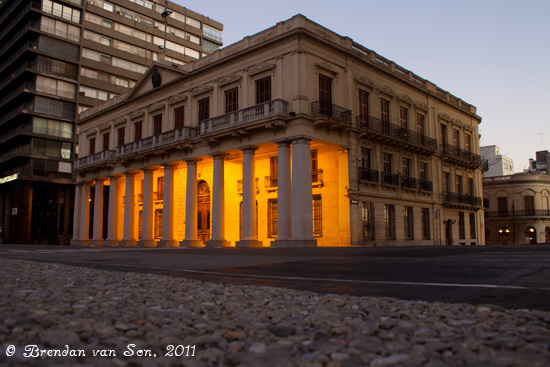 The city of Montevideo itself is often a city lost in the shuffle as well. It finds itself stuffed in between the natural beauty of Rio de Janeiro and the cosmopolitan character of Buenos Aires. Squeezed in the middle of two giants this cultural city sits quite and humble, however, something about the relaxed nature of its inhabitants gives me the impression that they don’t really mind. Nice pics! I’m hoping we can squeeze in Uruguay on our upcoming South American tour… but we’ll see. We loved Uruguay, and Montevideo. Thanks for this post as this city should get more props! The coast line is gorgeous as well and some of their architecture. The food is excellent and so is the night life. To call it a scaled down BA is probably a stretch, but none the less, it’s definitely worth visiting and spending some time. The ironic thing we found funny about this city was the horse drawn garbage collection. Great photos and post! I loved my day trip to Montevideo. I will absolutely return in the future when I have the opportunity. Uruguay is waaaaay underrated. Great pics man! Montevideo is just as a priority to me next year as Rio, BA, or anywhere else in SA. Looking forward to it, and your blog sure helps! 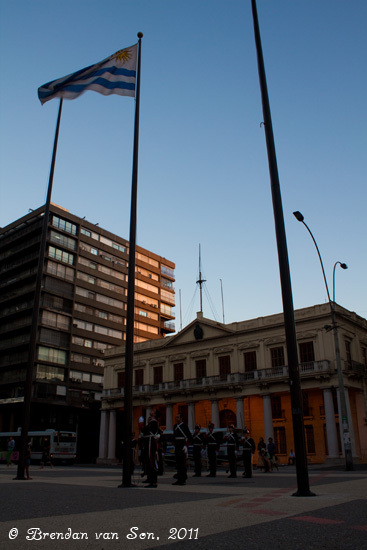 We also really enjoyed our time in Montevideo. What really stood out to us was how friendly the people were. No matter where we went, everyone was always helping us out or offering to take us to the next place. I have never been able to plan a tour to South America, but whenever i plan a trip, i am sure the places like Uruguay, Peru, Bolivia will be a great experience for me.. I had few friends from Montevideo, and they have been full of praises for the city, this blog has certainly helped me get back to the planning of my travel this summer! We only get an overnight stay in Montevideo next week, but we plan to make the most of it. Thanks for the great pics! 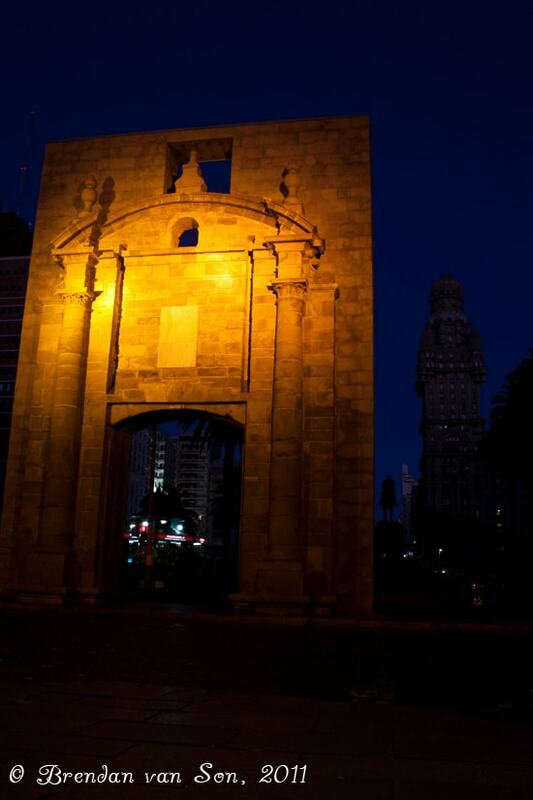 Montevideo is small enough that you can see it in a day, you’ll have no problem!